The goal of Sri Lanka’s National Quality Infrastructure (NQI) Strategy is to set quality-related functions on a course to provide high-performance services that allow small and medium-sized enterprises (SMEs), larger companies and exporters to comply with market requirements. It equally aims to build capacities, support the enforcement of Sri Lankan regulations, assist environmental sustainability and ensure consumers are protected through access to quality and safe goods. 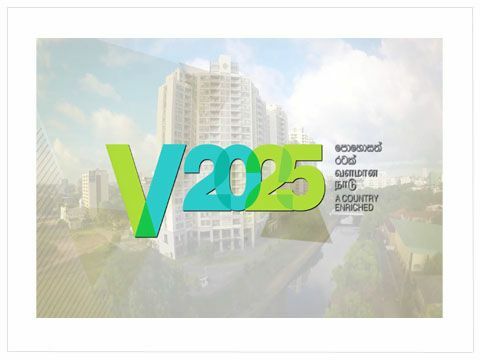 This Strategy builds upon the findings of an NQI gap assessment, 1 corresponds to a broader vision for the longterm improvement of the quality function, and defines a precise five-year implementation road map (action plan) This NQI Strategy was designed in conjunction with the National Export Strategy (NES) of Sri Lanka. Sri Lanka’s NQI has been developing progressively for many years and has established the main functions required to operate and be internationally recognized through multilateral agreements. Sri Lanka has all the necessary institutions that form the basis of an NQI: the national metrology institute (NMI) of Sri Lanka handles industrial, legal and scientific metrology; the Sri Lanka Standards Institution (SLSI), which formulates standards for Sri Lankan products in line with international standards; and the Sri Lanka Accreditation Board (SLAB), which is the national accreditation body of Sri Lanka. These core institutions, in close coordination with conformity assessment bodies (CABs), have been protecting Sri Lankan consumers and ensuring compliance of Sri Lankan exports. Quality as a national priority has been addressed through the development of a comprehensive policy framework (the NQP), demonstrating Government commitment to establishing a modern NQI and accompanying governance structure. Although all the functions required in a contemporary NQI are present and the policy framework is in place, some specific weaknesses continue to impede the performance of the NQI. There are also gaps in overall coordination. In order for Sri Lanka to be a recognized as a trade hub by 2025, there are key NQI priorities that need to be addressed, outlined below. Policy, legal framework and regulatory issues: The legislation supporting the NQI is outdated and incomplete. Coordination mechanisms for institutions and regulatory bodies must be set in place. A centralized system to keep track of technical regulators or technical regulations is also needed; as well as a comprehensive legal framework for central coordination, planning, oversight and monitoring of the NQI, including implementation of regulatory impact analysis (RIA) to ensure regulatory efficiency. Supply-side issues: There are not enough technical staff with recognized competence operating in NQI institutions. An increase in staff is required in most institutions, especially in the Measurement Units, Standards and Services Department (MUSSD). Long-term budgetary planning for the NQI is weak and not coordinated between institutions. 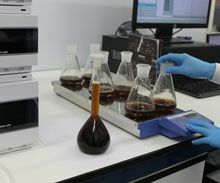 In addition, conformity assessment services must be extensively developed, accreditation broadened and conformity assessment services made visible, especially to the private sector. Demand-side issues: There is limited understanding and visibility of conformity assessment processes in Sri Lanka, as well as their accreditation status. Standards committees do not cover all key sectors, nor do they address all of the standardization needs. International buyers are increasingly requesting private certification schemes but Sri Lankan SMEs have limited access to such schemes, which are also expensive. Sri Lanka could establish a comprehensive and open standard and certification scheme incorporating ethics and environment sustainability which would be acceptable to buyers. There is a general lack of awareness about NQI-related issues within institutions, the private sector and consumers. A centralized information repository of NQI services is required for SMEs to access a one-stop shop for all quality-related services. The institutional, regulatory and service provision set-up of the NQI, including how it is coordinated, needs to be optimized. Build awareness and understanding about quality in the private sector and the general public. The strengthening of these strategic points will ensure that the NQI works efficiently to raise the bar of quality, safety and environmental protection in Sri Lanka.